The Jewish Museum in Odessa, Ukraine opened in November 2002. 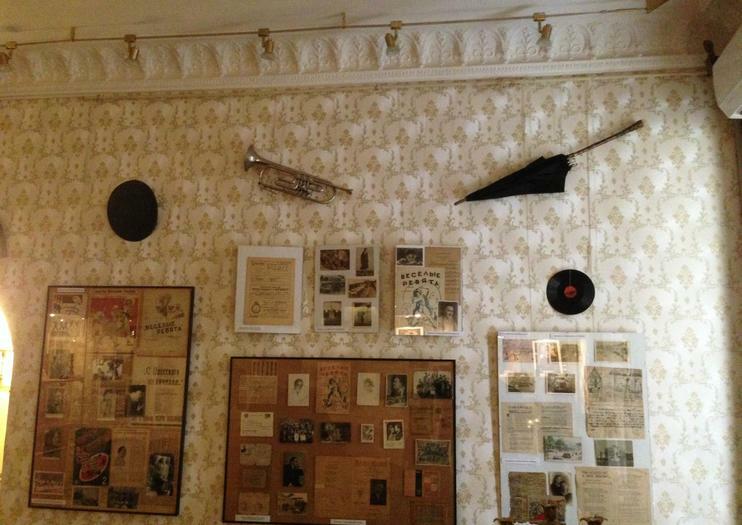 Though small, with an exhibition area of only 160 square meters, the museum features an impressive collection of more than 7,000 photographs, newspapers, books, documents, musical instruments and pieces of art from Odessa’s Jewish community, which was once the third largest in the world. Items have been donated by local leaders, ordinary citizens and members of Odessa’s diaspora. Highlights include fragments of gravestones dating back to the 1770s, pages from Jewish newspapers as far back as 1869, photographs of leading Jewish cultural figures and a collection of religious garments and objects. One exhibition room is dedicated to Yiddish culture during the Soviet period and another remembers victims of the Holocaust. The museum also offers classes in Jewish tradition, history, literature, art and design, as well as Hebrew language classes. The Jewish Museum is located in the center of Odessa, not far from Cathedral Square. It can be reached on foot from many centrally located hotels, or by taking marshrutka (shared taxi) 105, 215 or 237, or tram 3 or 12, to Tyraspolska Square. Hours: Monday to Thursday from 1 to 7 p.m. and Sunday from 11 a.m. to 5 p.m. Closed on Jewish holidays. Learn about Odessa’s rich Jewish heritage on a private, 2.5-hour tour. Once considered the Jewish capital of the Russian Empire, the city is filled with traditions, stories and monuments with ties to this long cultural legacy. Travel in a private vehicle to diverse locations including the old Jewish quarter, the Central Synagogue and the Jewish Museum of Odessa (optional), while a private guide shares tales of the city’s most famous Jewish residents and important moments in the population’s history.